← 2015 Range Rover Sport SVR – 550HP of SUV fun. Toyota recently held media introductions and driving programs in Southern California for two of its new vehicles, the Prius and the RAV4. Two of my colleagues were on hand for these and I want to bring you their first-hand reports. 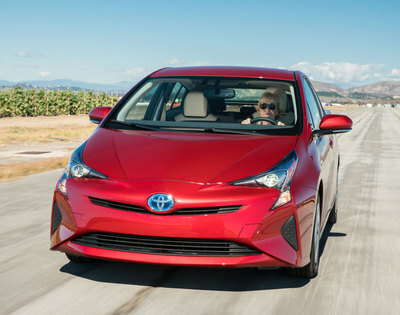 You can read about the new Prius from my Netherlands-based colleague Henny Hemmes who had traveled to the U.S. for this as well as the upcoming Los Angeles Auto Show. Click here to read what she had to say on the Prius. 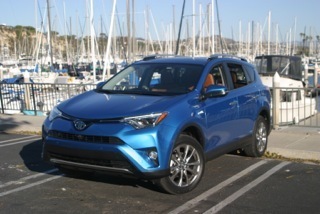 My Michigan-based colleague Steve Purdy was also in LA for this event and wrote about the new RAV4 and RAV4 Hybrid. Click here to read that story. This entry was posted in automobiles, compact cars, crossover SUV, fuel economy, hybrid vehicles, new car review. Bookmark the permalink.